In this interview, colic expert Julie Buck discusses 9 proven solutions for help your baby to stop crying. NOTE: Any type of baby cry remedy should always be used in consultation with your pediatrician or family doctor. QUESTION: Do you ever recommend any over-the-counter medications or any home remedies that could help colicky or fussy babies? JULIE BUCK: I always give the disclaimer that any suggested remedy should always be considered in consultation with your doctor. You definitely want to discuss any of these options with your pediatrician and make sure that it’s right for you and right for your baby. That said, there are a couple of products on the market people swear by – that I’ve seen really help. One is called Gripe Water. And another is called Colic Calm. And those are two products that usually with an Internet search or at a local store you’d be able to find. Another option is to use regular gas drops like Mylicon. There are also suppositories you can use if it seems as though your baby is having a hard time going to the bathroom. If you visit a whole foods or a Vitamin Cottage there are other homeopathic remedies that are available. You can also try making a chamomile and fennel tea. Steep it weakly and give it to your baby a few drops at a time. Chamomile is a calming type of herb or flower, and fennel is a nice digestive aid. Again, make sure you consult with your doctor first. I’ve also had some experience with other families who have used pediatric certified chiropractors, who are certified to work with children. There can be underlying things going with a baby’s spine and body as they’ve come out of the birth canal they’re experiencing gravity for the first time. Things that can make them uncomfortable that we might not necessarily catch, which chiropractic can help. A website for more information on pediatric certified chiropractors is ICPA4kids.com. And it’s very important that you find a chiropractor that has the pediatric certification. There are two other types of alternative medicine that, again, you would discuss with your doctor and decide if it was correct for you. One is called craniosacral therapy. It works through the fluid that bathes our spine and our brains. Another option is acupuncture. For children and babies there are licensed acupuncturists that don’t use needles. It’s acupressure. Those are some of the solutions that families I have seen work well for other families. 10 replies to "9 Baby Cry Remedies"
I just went through that stage with my granddaughter. We finally switched to a lactose-free formula with instant results. She stopped drawing up her knees in pain, and settles easily now for naps. I can’t tell you how much relief I get seeing her sleep pain free now. Add to that seeing her smile at me now too. She is however having a little reflux, which she is expected to grow out of soon. I suspect this is the reason why she doesn’t like her ‘level’ cot bed, but enjoys the stroller, which sits her more upright. Reflux would cause her esophageal discomfort, which is eased by being slightly more upright. The Royal Medical Society of Paediatricians in England performed a study on collicy babies and found some are born without the necessary lactase needed to break down the lactose into sugars, requiring some babies to need lactose-free formula. Breast-feeding mothers can express milk, add a few drops of lactese, then bottle feed the breast milk (now lactose-free). I have a 7 month old that just will not sleep. She sleeps a total of 7 hours in a 24 hour period. She wakes up at least 3 times during the night. The longest she has ever slept is 4 hours. We have changed her formula, food, feeding times and now we are using Natren Life Start a probiotic supplement. She burps and has alot of gas. We also use gas drops (lots of it). We give her water, juice and fruit to help her go to the bathroom. We have also let her cry. Nothing seems to work. I just can’t take anymore. I just need to sleep. I don’t know how a baby can go with so little sleep. What else can I do!!!!!!!!!! I’m not sure if this might help but we have a 3 month old who up until a few days ago had not ever slept very much. He particularly fights sleeping in the evening and rarely napped. My wife was getting very run down and dispondent as we had tried everything. Finally she came across Merlin’s Magic Sleep Suit http://www.magicsleepsuit.com/ . 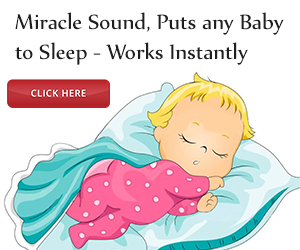 The first time we used it he slept for a 4 hour nap in the middle of the day – unheard of! Now at night he goes 7-8 hours between feeding and is much happier during the day. It was an amazing transformation. He does fight getting in the suit as its a little tight but it has been a great investment. It worked for us so maybe for others too. Mandy- my 9 week old is always crying and fights sleep as well. We are so sleep deprived and dont know what to do. Could you please expand on your method. Is Gripe Water not banned now due to its containing Alcohol? I know it has not been available in Ireland for many years? Gripe water does NOT contain alcohol!!!!! Is homeopathic, it helps are son but not enough. We have tried everything, he is even on a prescrition formula. He wakes up 4-6 times a night and sometimes will stay up for 2-3 hours wanting to play. We are way passed colic stage he almost 10 months old but we have had these problems since he was 5 weeks old. He is extremely gassy a lot and cries in pain.we do.t give him any milk or soy and nothing helps. Anyone have an answer for thY? I’m seriously hoping somebody can give me some tips here. I’m a brand new mom, and my little girl just won’t quit crying. She probably spends 4 hours a day crying her heart out, and I don’t know what I can do to help. I’ve tried warm towels, massage, and taking her for rides in the car, but absolutely nothing appears to help. My pediatrician says absolutely nothing is wrong, and it’ll pass, but I am worried, tired, and at my wits end. Has anyone actually tried Ginger? I know you aren’t supposed to use it on newborns, (my girl is eight weeks), but I don’t know what else to do. Please Help.